The online Master of Science in Applied Statistics is an outstanding value. It provides students with a high-quality education from a respected university for an affordable price. Moreover, 90 percent of students who graduate with a master’s degree in statistics from UD’s Department of Applied Economics and Statistics (APEC) find employment within six months. Jobs in the field pay a median annual wage of $80,000, with the highest 10 percent of employees earning more than $130,000. APEC graduates working in some areas of the country, including Silicon Valley, report earning annual salaries between $180,000 and $250,000. Tuition includes a license for the Statistical Analysis System (SAS) JMP 13 interface, which has an annual value of more than $1,700, use of SAS on the UD mainframe computers and SAS studio, and on-line version of SAS available to students enrolled in higher education institutions. Students in the online master’s degree program in applied statistics pay no other fees, but are responsible for the cost of their textbooks. Graduate students enrolled in a degree program may be eligible for federal loans. For information on filing deadlines, eligibility, or how to file a FAFSA, visit our Student Financial Services resource page. The FAFSA school code for the University of Delaware is 001431. UD’s Military and Veterans Services office provides support and encouragement to all students using VA education benefits. Student Veteran Services Coordinator Brooks Raup is a dedicated resource for students using VA education benefits at UD. 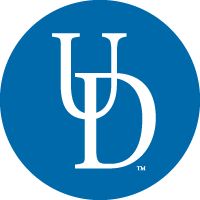 To learn more about the University of Delaware’s Master of Science in Applied Statistics, fill out the fields below to download a free brochure. If you have additional questions, please call 844-247-6251 to speak with an Admissions Counselor.